“Craig’s List” is back! This month, we’re dishing out another winning line-up of festivities, food, and fun in and around the Sacramento region. From Cinco De Mayo and Mother’s Day celebrations to special ways to honor our country’s armed forces and those who have served this Memorial Day, we’ve got you covered. As always, we want to hear from you! If you have any recommendations of your own, we’d love to give you a special shout in next month’s newsletter. Just send Craig an email at cdiez@cbnorcal.com with your suggested newsletter content. This month’s “Good Eats” section is dedicated to our favorite Cinco De Mayo and Mother’s Day brunch spots around town. Read on for a complete list! For the Margarita & Mexican Food Lover: Cinco De Mayo is the perfect excuse to dig into some delicious tacos and pile on the chips and salsa. That’s why we’re giving you a couple of our favorite spots to try out this year! 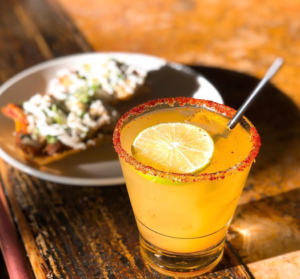 Mesa Mercado: If you’re a fan of the finer things in life, like freshly muddled margaritas and authentic Mexican cuisine, then you may want to make Mesa Mercado in the new Carmichael Milagro Centre your go-to Cinco De Mayo destination. For a margarita with a little kick to it, try their “Pepino Picante”, with muddled cucumber, chili powder, fresh lime juice, and 100% blue agave tequila, and mescal. For a sweeter margarita without a headache, try their “Mango” margarita, with pureed mango and chile, their secret margarita mix and freshly sliced mango, and chile spice topped at the rim. If you want some food to go with that margarita, you can’t go wrong with their marinated skirt steak or roasted pork tacos. Zócalo: Another favorite hot spot is Zócalo, an upscale restaurant and bar that serves up some delicious handcrafted margaritas, mouth-watering dishes, and a lovely dining atmosphere. We recommend kicking off your meal with their freshly prepared guacamole starter. Because why not? For entrees, try their “Baja Fish Tacos” or their popular “Carnitas” plate. 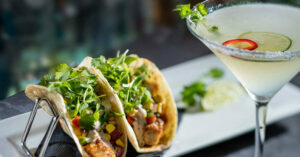 Their robust drink menu features everything from classic margaritas to mojitos and Palomas. 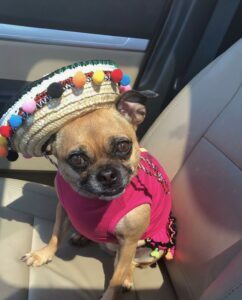 In honor of Cinco De Mayo, the Sacramento location will have mariachi music, festivities and more from May 4-5. Click here to find a location near you. “Mother’s Day Approved” Brunch Spots: Mark your calendars because Mother’s Day is Sunday, May 13th! And what better way to celebrate her than with a delicious brunch in her honor? Below are our three top picks. 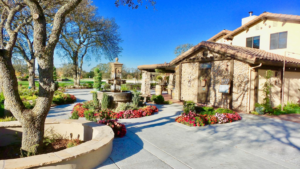 Rancho Roble Vineyards: This Mother’s Day is the perfect opportunity to stop by Rancho Roble Vineyards, the hidden gem of Placer County. This beautiful estate will be hosting a special Mother’s Day brunch that features a fantastic menu and excellent wine selection. Reserve your brunch seats here. If you can’t make it for the brunch portion, stop by from 1- 5 pm and enjoy a fun and relaxing day sitting by their beautiful pond, listening to live music, and enjoy savory treats from the Authentic Street Taco Truck that will be on location, offering food for purchase. High Hand Nursery & Cafe: Nestled in a beautiful nursery, High-Hand Café is another great spot for a beautiful Mother’s Day celebration. Take a walk through their enchanting nursery beforehand, where you will find an amazing collection of plants, trees, shrubs, and perennials from top growers. 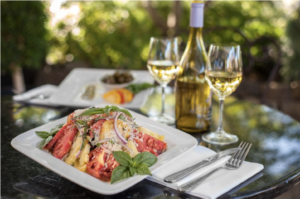 When it comes to your dining experience, enjoy picture-perfect outdoor seating and a menu that reflects their passion for farm fresh local ingredients. We recommend making a reservation in advance by calling 916-652-2064 (ext. 2). 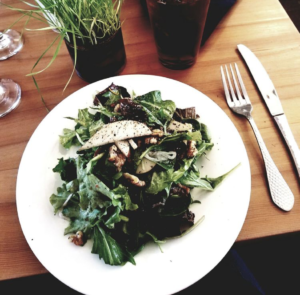 Farmhaus Fresh: Located in Granite Bay, this charming restaurant serves up fantastic dishes using only the freshest of ingredients and provides a warm and inviting atmosphere for guests. Plus, their lovely outdoor dining area makes for a great brunch spot! Not sure what to order? While all of their dishes are raved about, we recommend trying one that includes their homemade pastrami. Parking can be an issue so try and arrive early to avoid outside crowds. 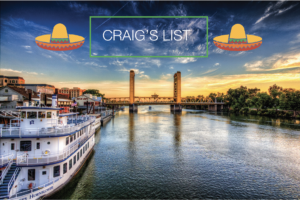 Whether you’re a local, new in town, or just passing through, we hope that you will find something on our Sacramento events line-up that will pique your interest! 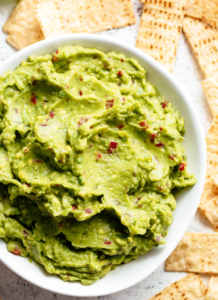 With Cinco De Mayo just around the corner, we’re sharing our favorite guacamole recipe with you all, compliments of The Craig Diez Team! For all those wondering… above is a picture of our team mascot Poppy dressed in her festive attire! In a large bowl place the scooped avocado pulp and lime juice, toss to coat. Drain, and reserve the lime juice, after all of the avocados have been coated. Using a potato masher add the salt, cumin, and cayenne and mash. Then, fold in the onions, tomatoes, cilantro, and garlic. Add 1 tablespoon of the reserved lime juice and 1 tablespoon of your favorite hot sauce (the hot sauce is optional). Let sit at room temperature for 1 hour and then serve. Enjoy! This Month’s Featured Properties: Click on the below videos to preview this month’s featured properties! 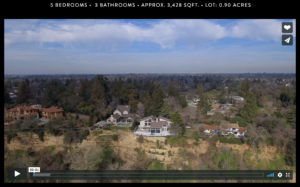 Do you have a friend, family member or co-worker that’s thinking of buying or selling in the greater Sacramento area? Refer them to The Craig Diez Team and earn $200 at the close of escrow! The best part? There’s no limit—you can refer as many people as you’d like and receive a check in the same amount after each successful closing. Just let us know that you referred them and we’ll handle the rest. With our Referral Rewards program, the sky’s the limit! 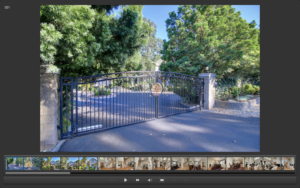 Thinking of buying or selling? Contact me today to discuss your real estate needs!